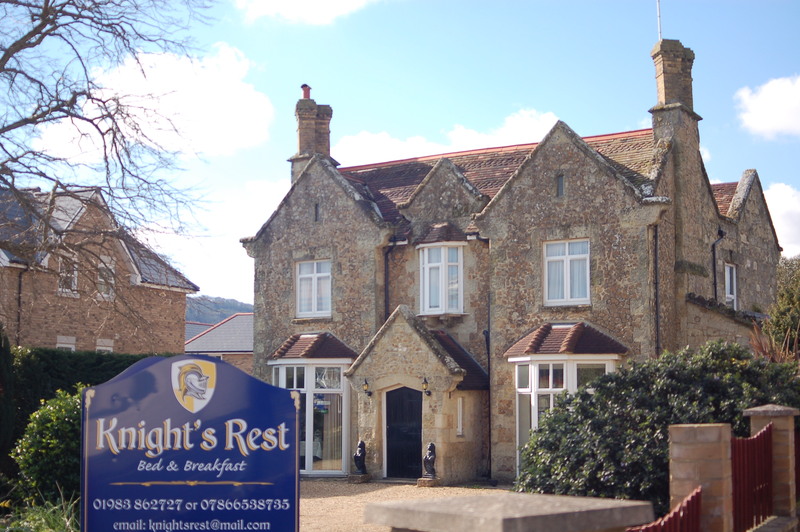 Knight's Rest is a lovely old building in Shanklin, Isle of Wight, England, which offers bed and breakfast accommodation for those seeking peace and quiet, good food and a good Knights Rest. Open throughout the year, it is run by Martin (Ex Royal Navy Chief Engineer) and Vera (Established Chef), both are classic car enthusiasts, who enjoy hosting people as well as respecting their privacy. Knight's Rest is ideal for those wanting a quiet relaxing holiday or short break. Short stays of one or two nights are accommodated. It is also ideal for businessmen who seek peace and quiet within their working environment. Early Check Ins and Late Check Outs are permitted. All rooms are en-suite and have flat screen digital TVs with Freeview. Free WiFi also. Breakfast is available from 0800 to 0930 where a large variety of freshly prepared food is on offer. See our breakfast menu for more details. There is a large off-road car park at the front, with plenty of parking space for cars, motorcycles, and there is secure storage for bicycles. Check availability and book direct (cheaper).